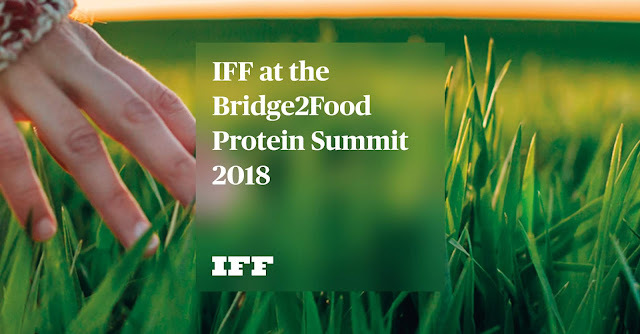 Our experts will be on-hand at the Bridge2Food Protein Summit, October 24th – 26th, 2018, in Lille, France, to showcase how we’re pioneering taste technologies that support alternative and sustainable food sources without compromising taste through our Re-Imagine Protein™ program. We are proud to support the event and help shape the future of the industry. Our dedicated approach has been created to develop the formulation of products with a shorter ingredients list that consumers crave. Our FLAVORFIT™ tools have proven to be very effective in balancing tastes or off-notes, which are inherent with many protein sources and how they’re processed during manufacturing. Benefits for manufacturers include customized technology tailored to specific product requirements, the ability to mask off notes in both taste and aroma, especially blocking bitter and sour notes. Our world-class expertise in boosting the taste of savory with mouthfeel enhancement and kitchen preparation profiles such as roasted and grilled, is perfectly suited for alternative protein-based products. While consumers now desire healthy convenience with an authentically home-cooked taste, our technologies to enhance mouthfeel, body and richness in every bite can protect and deliver real, rich and authentic taste. IFF TRU2NATURE™ Savory is a gentle encapsulation delivery technology to better capture and retain the flavor volatiles. Explore our flavor portfolio Possessing a bespoke toolbox of great tasting capabilities is only meaningful if it can be used to develop great taste in close collaboration with you – our partner. Meet us at the Protein Summit. We look forward to collaborating on Taste Design with you!